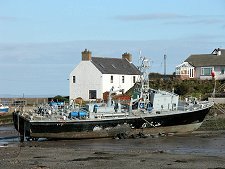 Drummore lies on the east side of the Rhins of Galloway, a few miles north of its southern tip. 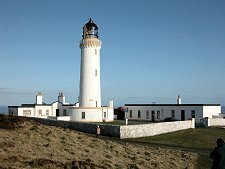 The tip itself is formed by the Mull of Galloway, Scotland's most southerly point. Drummore is the largest settlement in the narrow southern half of the Rhins. 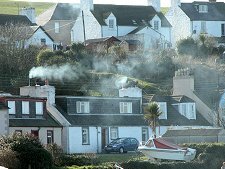 The village clusters around Drummore Bay and has at its southern end a north facing harbour. The area had an active lime making industry in the early 1800s, and the harbour was built to allow the lime to be shipped out and the coal used in its processing to be shipped in. 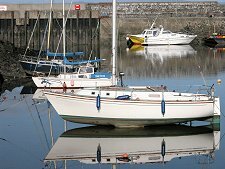 It is home to a variety of leisure craft, as well as to the occasional more military looking vessel associated with the bombing range in Luce Bay, to the east. 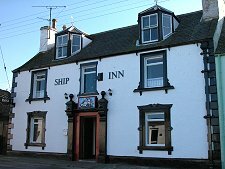 The lower part of the village includes the Ship Inn and a variety of fishing cottages. The village continues uphill to the west. A short distance along the road to the Mull of Galloway is a medieval motte whose Gaelic description of "drum mor" or "big mound" was given to Drummore Castle, built nearby in the 1500s. This in turn provided the name for the village. 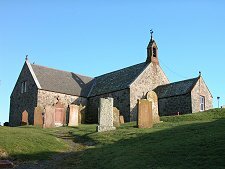 Inland from Drummore is the smaller village of Kirkmaiden, which grew around a T-shaped parish kirk first built in 1638 and remodelled in 1835. 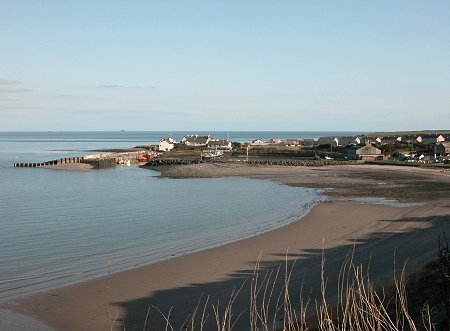 North east of Kirkmaiden is the attractive village and harbour of Port Logan. 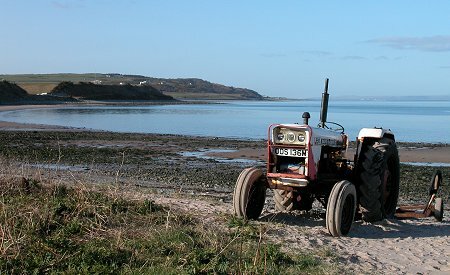 The southern end of the Rhins of Galloway has a very striking and attractive island feel. The odd thing is that if we had to tie down which island it most reminded us of, the answer would be Shetland: it's something to do with the landscape and the pattern and style of settlement. And there's a certain neat circularity about this strong resemblance between Scotland's most southerly and its most northerly points.